This part of the documentation provides a high level overview of how data stream monitoring works. 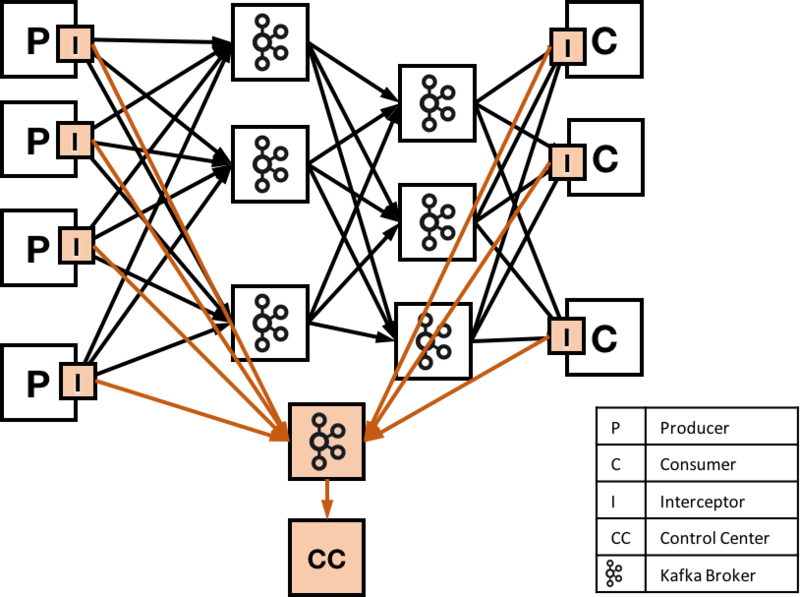 For more about Kafka Connect, see Kafka Connect. If you are building a critical application, you probably need to detect any issues moving data: late messages, duplicate messages, or lost messages. Reliably detecting these issues in a distributed system is a hard problem. We built Stream Monitoring to make this easier. Control Center has three different parts: metrics interceptors that collect metric data on clients (producers and consumers), Apache Kafka to move metric data, and the Control Center application server for analyzing stream metrics. By adding lightweight code to clients, Stream Monitoring can count every message sent and received in a streaming application. By using Kafka to send metrics information, Stream Monitoring metrics are transmitted quickly and reliably to the Control Center application. Stream Monitoring is designed to efficiently audit the set of messages that are sent and received. To do this, we use a set of techniques to measure and verify delivery. The interceptors work by collecting metrics on messages produced (or consumed) on each client, and sending these to Confluent Control Center for analysis and reporting. Both interceptors use Kafka message timestamps to group messages. Specifically, the interceptors will collect metrics during a 1 minute time window based on this timestamp. (You can calculate this by a function like floor(messageTimestamp / 60) * 60.) Metrics are collected for each combination of producer, consumer group, consumer, topic, and partition. Currently, metrics include a message count and cumulative checksum for producers and consumer, as well as latency information from consumers. We may add additional measurements in the future. Latency is measured by calculating the difference between the system clock time on the consumer and the timestamp in the message. 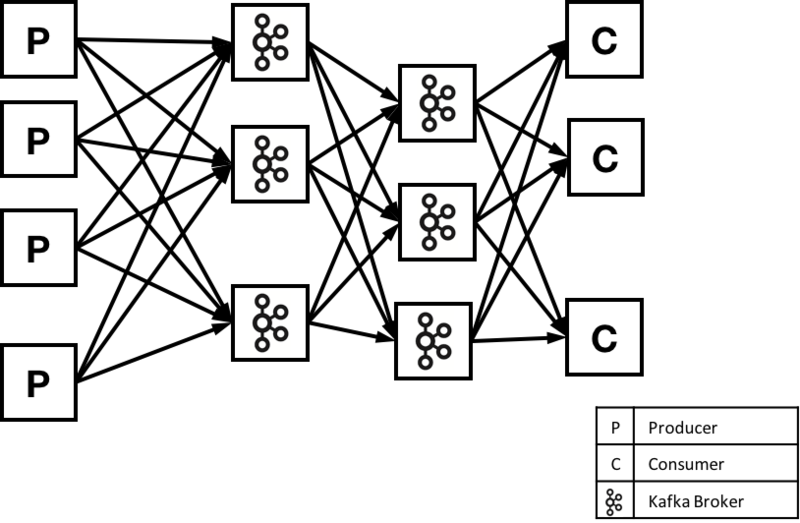 In a distributed environment, it can be difficult to keep clocks synchronized. If the clock on the consumer is running faster than the clock on the producer, then Control Center might show latency values that are higher than the true values. If the clock on the consumer is running slower than the clock on the producer, then Control Center might show latency values that are lower than the true values (and in the worst case, negative values). If your clocks are out of sync, you might notice some unexpected results in Confluent Control Center. We recommend using a mechanism like NTP to synchronize time between production machines; this can help you keep clocks synchronized to within 20ms over the public internet, and to within 1 ms for servers on the same local network. NTP practical example: In an environment where messages take 1 second or more to be produced and consumed, and NTP is used to synchronize clocks between machines, the latency information should be accurate to within 2%.